Patients suffering from heart failure who are waiting for a transplant could soon be helped by a “soft robotic sleeve” that fits around the heart and gently squeezes. The device could also aid in their recovery and reduce the risk of stroke and infection. According to the American Heart Association, heart failure currently afflicts about 5.7 million people in the US, costing the nation an estimated $30.7 billion each year. 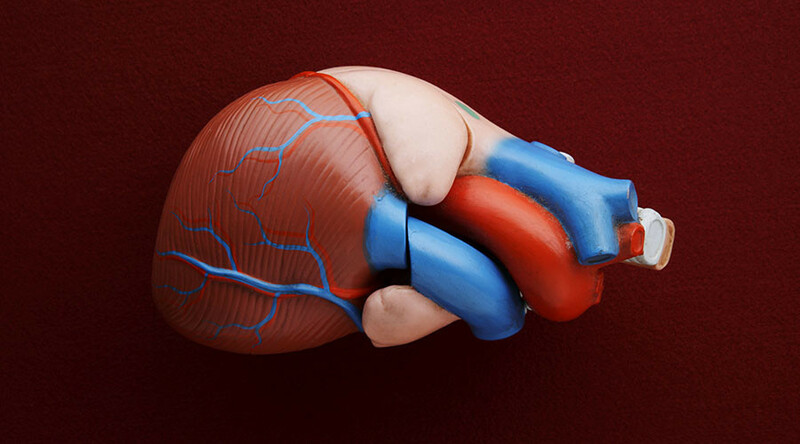 Without a transplant, current treatments for heart failure involve machines called ventricular assist devices (VAD) that mechanically pump blood through a patient’s heart via a tube running through their body. Part of the VAD also needs to be outside the body for monitoring purposes, which can lead to blood clots and strokes. Due to this danger, patients with a VAD need to take blood-thinning anticoagulants, which can then cause bleeding problems. However, even with these drugs, strokes still occur in up to 20 percent of patients. Heart failure patients generally use a VAD while they are waiting for a donor heart, but many will live with it for the rest of their lives. Unlike the VAD, the “soft robotic sleeve” is completely implanted and fits snugly around the heart, providing ventricular assistance without coming into contact with blood flowing through the heart, so blood-thinning anticoagulant drugs are not necessary and the risk of stroke or infection is reduced. The sleeve uses compressed air to power artificial silicone muscles, making it possible for the sleeve to mimic the movements of the heart in two ways: by twisting and compressing. Sensors in the sleeve can also measure the pressure the device is exerting, and trigger movements on one or both sides of the heart. “Our approach used a biologically inspired design to orient individual contracting elements or actuators in a layered helical and circumferential fashion, mimicking the orientation of the outer two muscle layers of the mammalian heart,” the study reads. The robotic sleeve’s control system can be synchronized with the patient’s heart beat and customized to other patient-specific needs in order to treat diseases. So far, the device has only been tested on animals, but it has already shown promising results. Drugs were used to induce acute heart failure in a pig model, which reduced cardiac output to about 45 percent of baseline. With the soft robotic sleeve, they were able to restore cardiac output to approximately 97 percent of, an augmentation of 113 percent.